What’s better than spending the afternoon eating crawfish? Eating crawfish for a good cause! 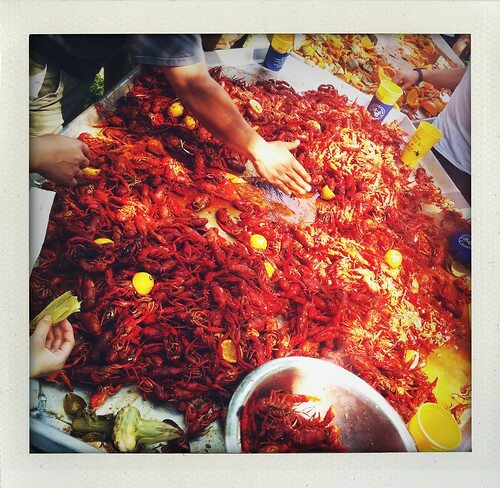 Every year on the east side of town there is a crawfish boil called the Eastside Boil that my friends, the Mr., and I attend. It all started off as a few neighbors wanting to have a boil and it has grown into a big multi-yard party. Every year they have sponsors for the party to raise money for their charity of choice. 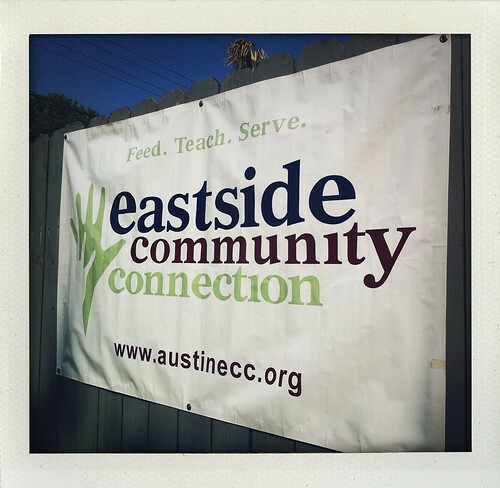 This year their charity was the Eastside Community Connection, a UT student-run nonprofit that offers food pantry services and adult education programs to lower-income residents of East Austin. 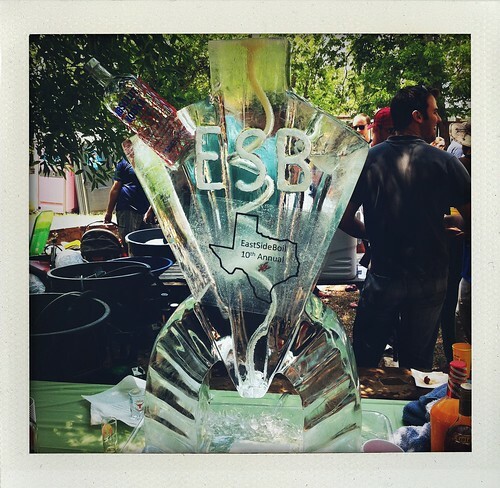 The ESB had a clothing drive, tshirt sales, and of course crawfish galore. The party is open to everyone and entry is by donation. Those who couldn’t make it to the party this year were able to donate to the ECC online. 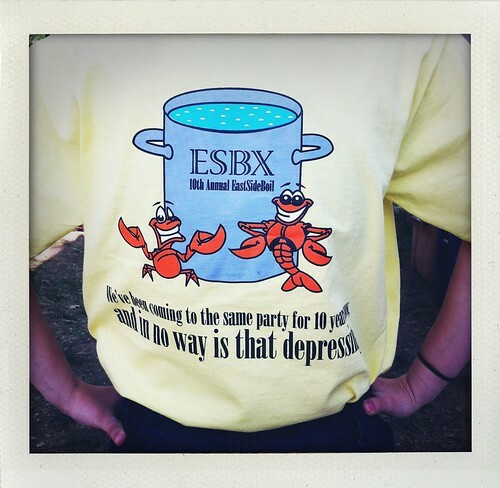 This was their 10th year throwing the party and the tshirt said “We’ve been coming to the same party for 10 years and in no way is that depressing” Aren’t the little crawfish adorable? I wish I had abs like that. When the ESB does crawfish, they’re serious about it. They bought 1000lbs of crawfish for the party along with potatoes, corn, artichokes, mushrooms, etc. You just read that right. ONE THOUSAND pounds of crawfish! They don’t joke around. Since it was their 10th year, they decided to go all out with the bells and whistles. When I say whistles, I really mean an ice sculpture to chill your beverages. How “cool” is that? They also had a “10” pinata as well as a Miss Crawfish contest. I forgot to mention that they also had double digit kegs too! They really know how to throw a party for charity. 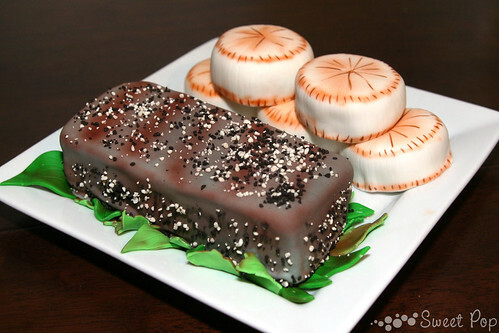 We can’t call it a day unless we convert a few people to Sweet Pop. Here’s Dat our new self appointed flavor creator. 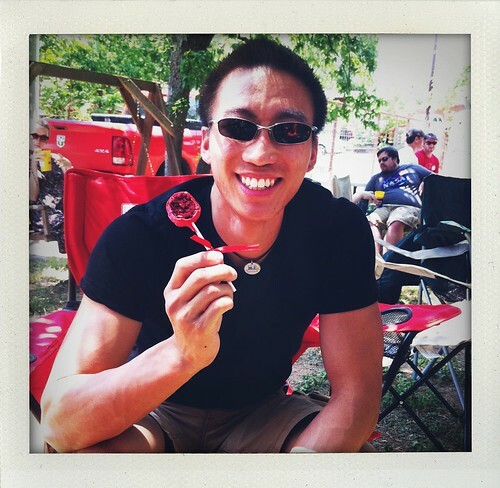 After he tried the red velvet cakepop he came up with so many flavor combinations that we are so excited to try in the future! We’ll keep you posted as we try his unique flavor choices. 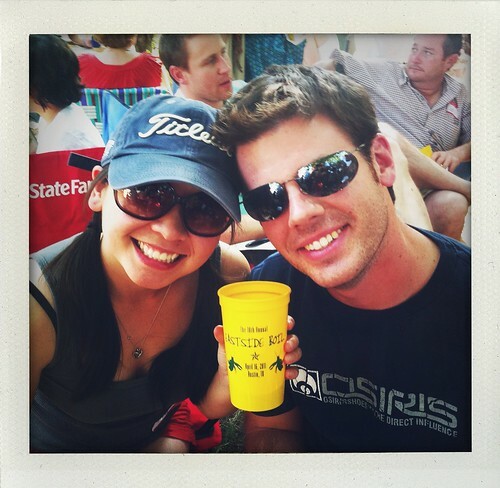 Hope the Mr. and the KPG will see you at next year’s boil!